Welcome back to our Flipping House Series. We had a little hiatus with some great Podcasts with Erik and Bryan and we will have more of those in the future. This week we look at a great flip. This house is basically totally brand new, on the inside. From the pictures you can tell that this was a total gut job, which is where this one gets its name–The Gutted House. This was quite the rehab. Rarely do we have to scrap the ENTIRE house but from the look of the before pictures you can see that this is exactly what was needed. Everything was redone. Walls knocked out. Carpet replaced. About a 1/2-acre of trees removed. An old barn demolished. Septic tank replaced. You name it. Let’s take a look at different items in The Gutted House. A lot of random colors here. Be sure to check back in with us to see how The Gutted House comes along! Erik Hitzelberger has been Real Estate Investor since 2007. While learning the ropes in the market down-cycle, he now teaches others how to use his systems and leverage other people’s expertise to achieve their own goals. 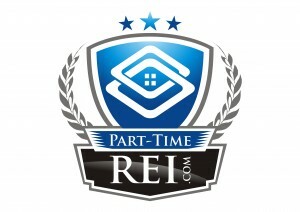 Erik Hitzelberger – who has written 194 posts on Part Time REI. Erik Hitzelberger has been Real Estate Investor since 2007. While learning the ropes in the market down-cycle, he now teaches others how to use his systems and leverage other people's expertise to achieve their own goals.